I'm writing from Ferrara (Italy), the home town of the football team named S.P.A.L. that means: Società Polisportiva Ars et Labor!!! First off all, let me say that I'm sorry for my poor english. Many years ago, when I was living in london, I saw in a sports market, the beautiful Blackburn Rovers coat and I immediately bought it. SPAL and Blackbourn have the same colours so, sometimes, I go to the SPAL stadium with your coat and your scarf! Ferrara is a town of 150.000 inhabitants situaded in the North est of our Country. Is a world heritage site by UNESCO and our football team, during the '60, was one of the most important in Italy. Now we play in third division (Lega Pro). Our stadium is one of the oldest in Italy and can take 21.000 attendands but now, for securities reasons, can host only 7.500. My dream is to attend a Blackburn Rovers match in your stadium and, why not, have someone of you attende an our match! We have a lot things in common. Have a very nice day guys. Nice to meet you! Arte Et Labore is Blackburn's moto (Skill and hard work) which is pretty close to your Ars Et Labore (Technique and hard work). I'll take a look at your team, they sound interesting. Looks just like the Darwen end when they got their anti-venkys tantrum on. Kinda. Ish. Ethiaa wrote: Looks just like the Darwen end when they got their anti-venkys tantrum on. Kinda. Ish. Oh my god! I need a translation! I was saying that your supporters look loud and passionate, just in a rather convoluted way. Yes, it's true. But our passion is also mortified by 24 years of third division! For this reason young generations prefers watch big clubs football match on TV, rather than support our team. Fabio Capello yes, he played here and his wife is from Ferrara. But we don't love him very much because he's not so friendly. Anyway, please tell me the best and cheapest way to get to Blackburn from Italy. Maybe is through Manchester airport? Fly to Manchester airport, then hop on the train. Transport links are pretty good. Return ticket should be about £15. 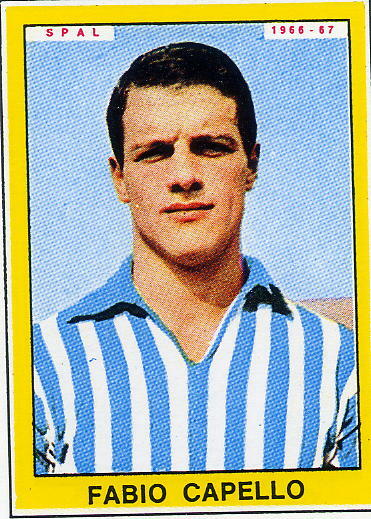 SPAL Ferrara wrote: Fabio Capello yes, he played here and his wife is from Ferrara. But we don't love him very much because he's not so friendly. We don't love him much either, so that's fine. SheepShagginRover wrote: Fly to Manchester airport, then hop on the train. Transport links are pretty good. Return ticket should be about £15. £15 from Italy to Manchester and back? That's AMAZING! Worth trying Liverpool and Leeds airports as well. I'd actually spend all my time inventing a time machine. Then go into the future and reverse engineer a teleporter cause someone will have invented them by then. Then I'd travel back in time to now and teleport to the game!